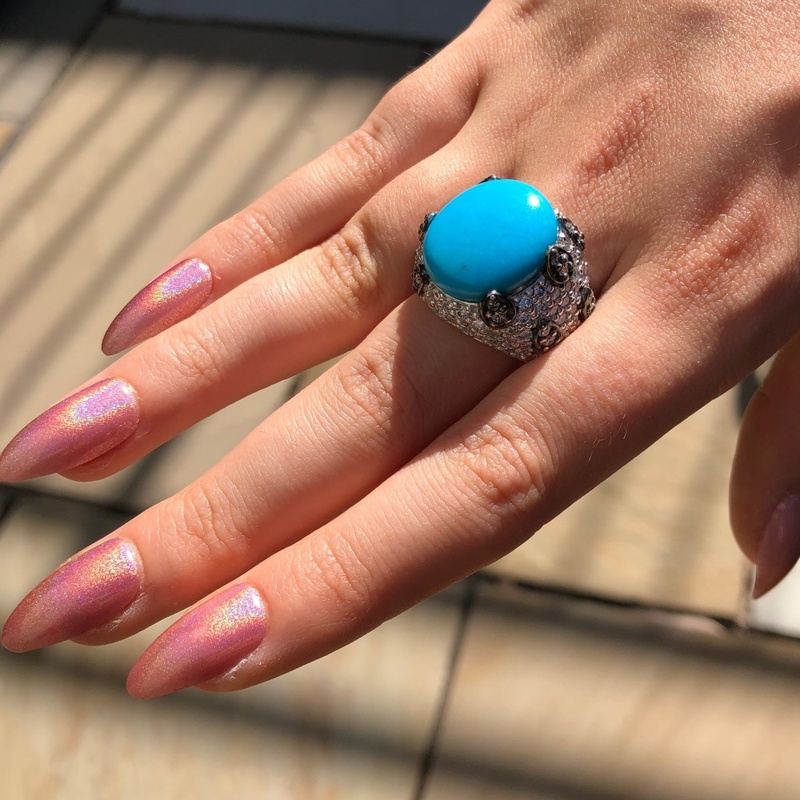 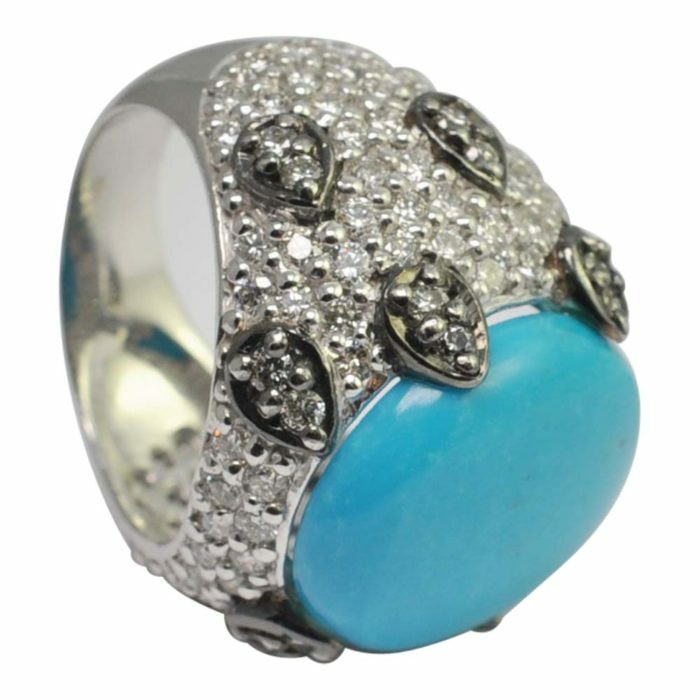 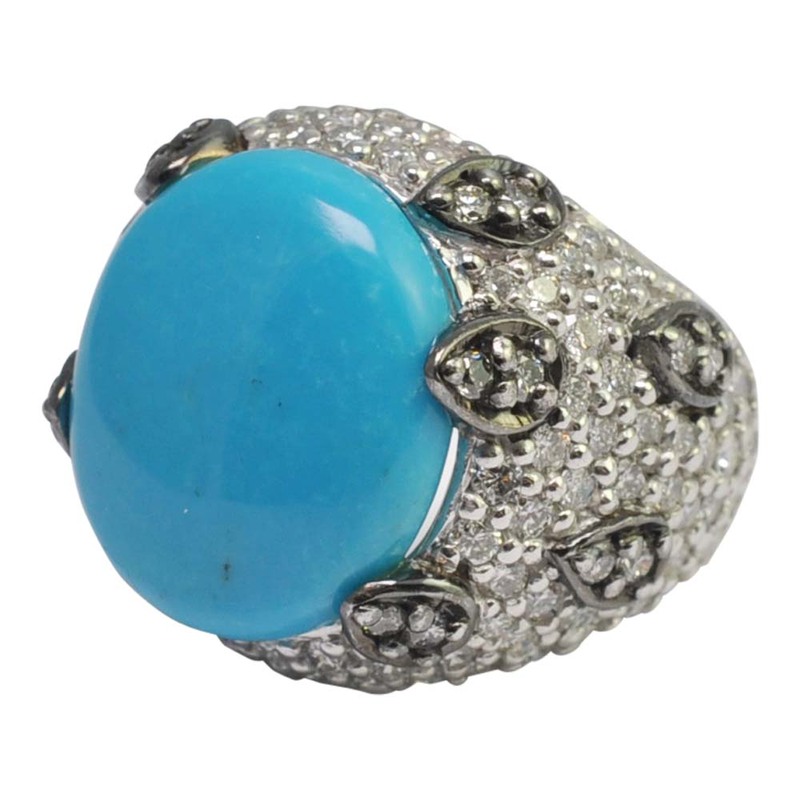 Huge statement ring! 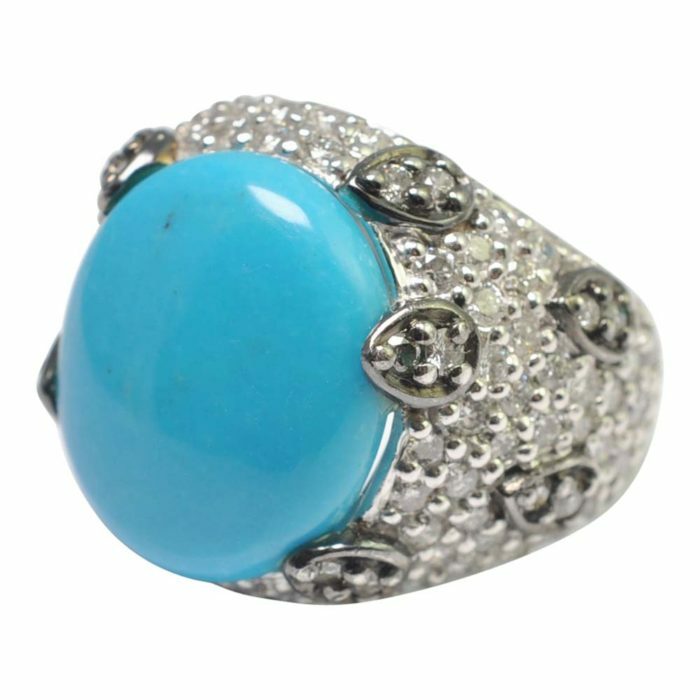 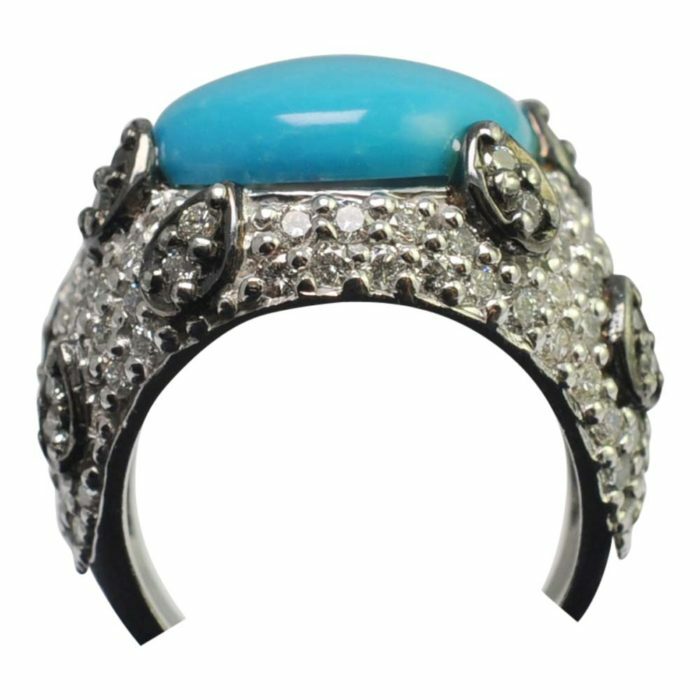 Large 11ct oval turquoise mounted in a diamond micro pavé setting consisting of approximately 4cts of brilliant cut diamonds. 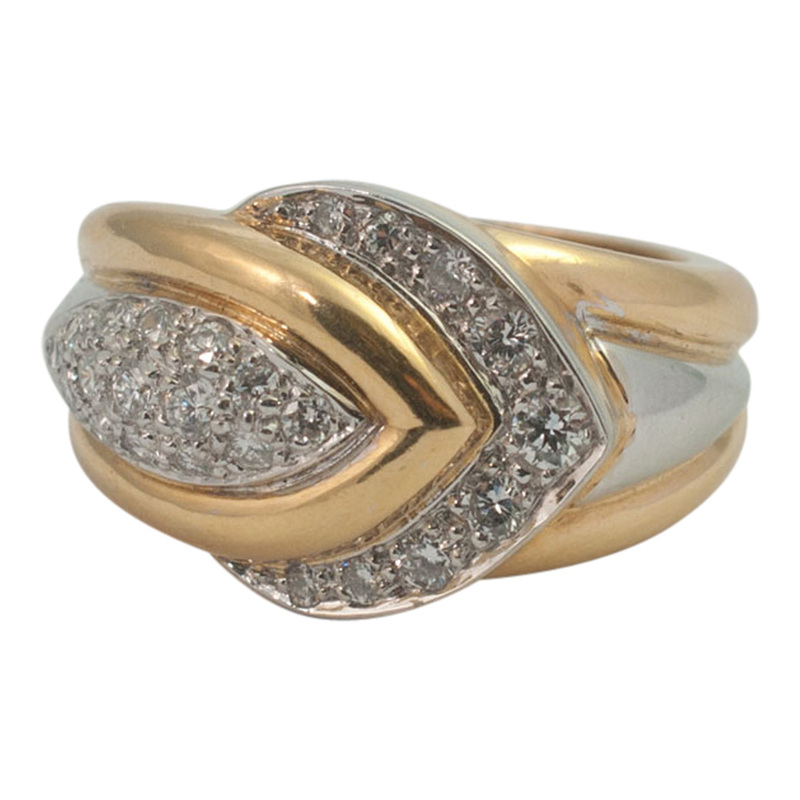 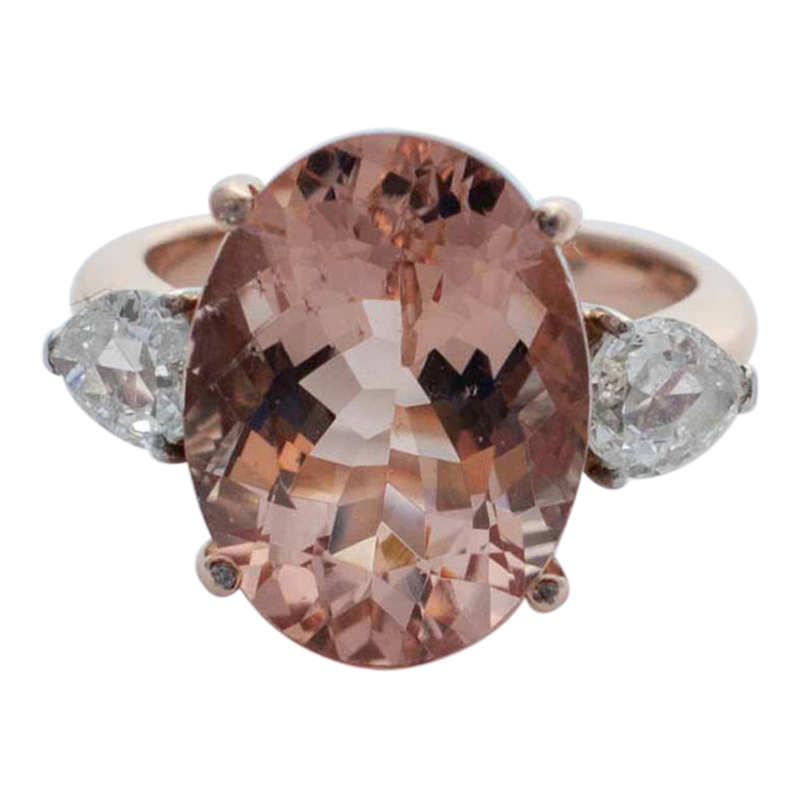 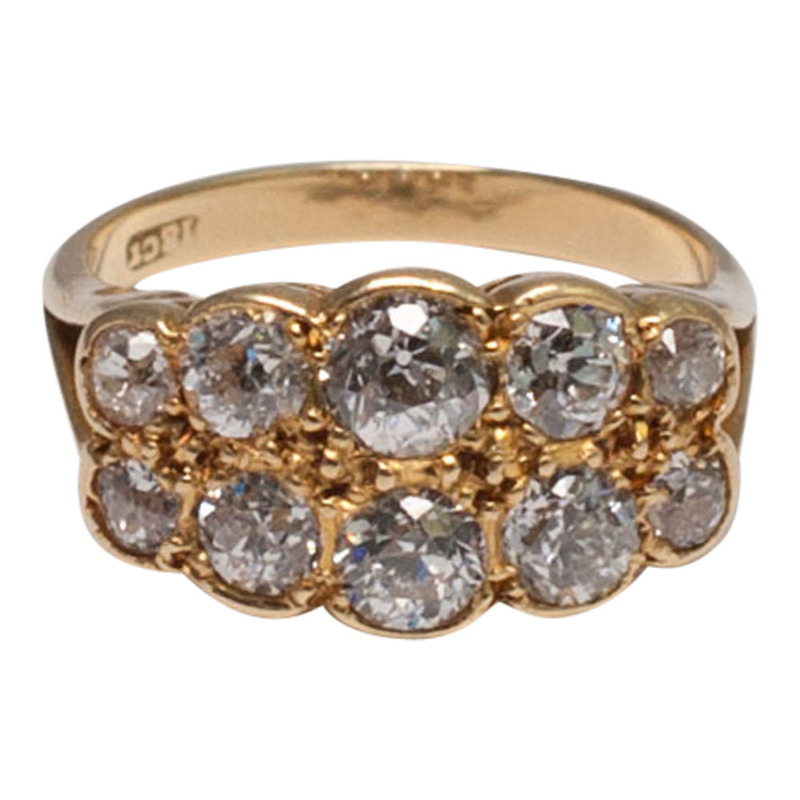 Some of the diamonds are randomly set in raised, black gold pear shapes, adding extra detailing to the body of the ring. 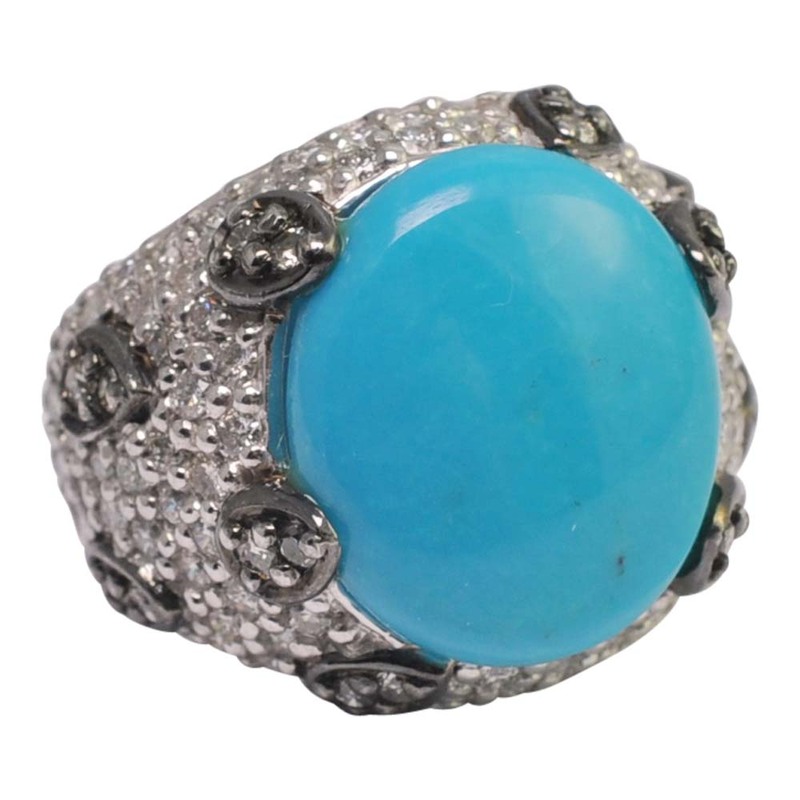 Weight 20.9gms; measurements 2.2cms long x 2.5cm wide. 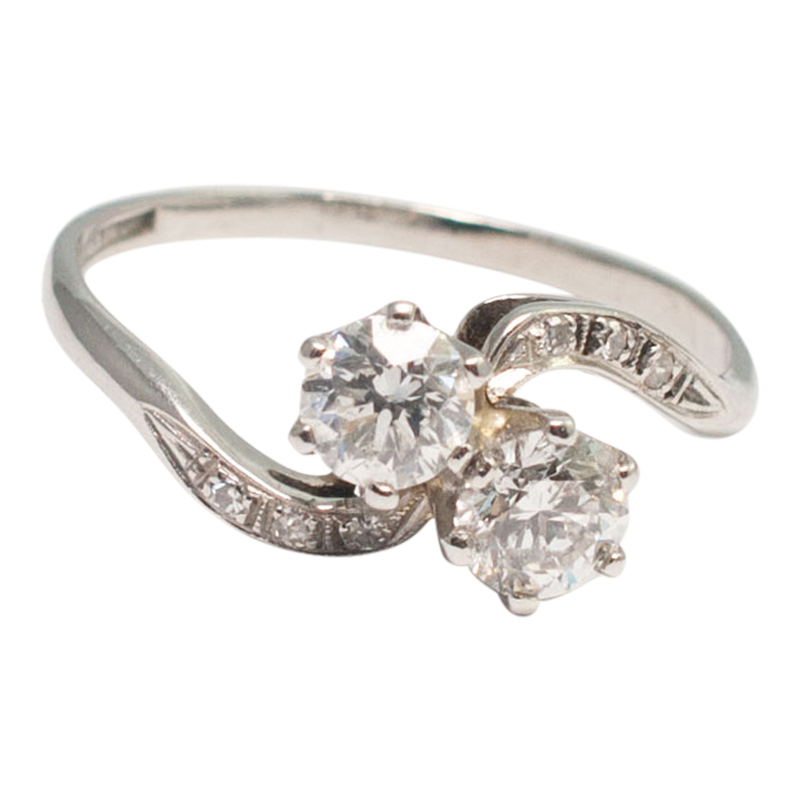 The ring is in white gold and stamped 750. 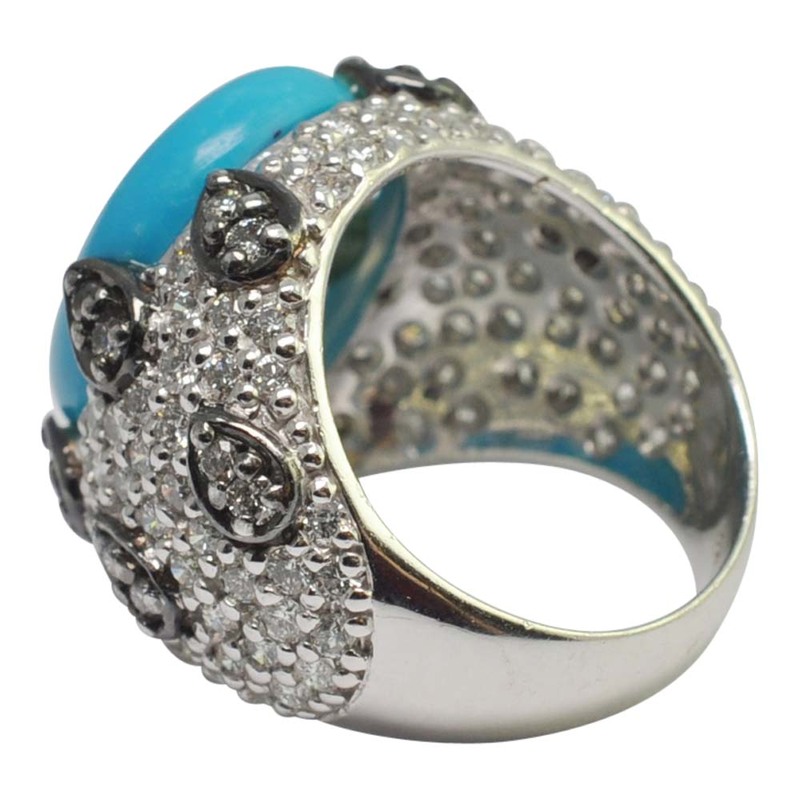 Finger size P1/2 (UK), 8 (US), 57 (French) which can be slightly sized if required. 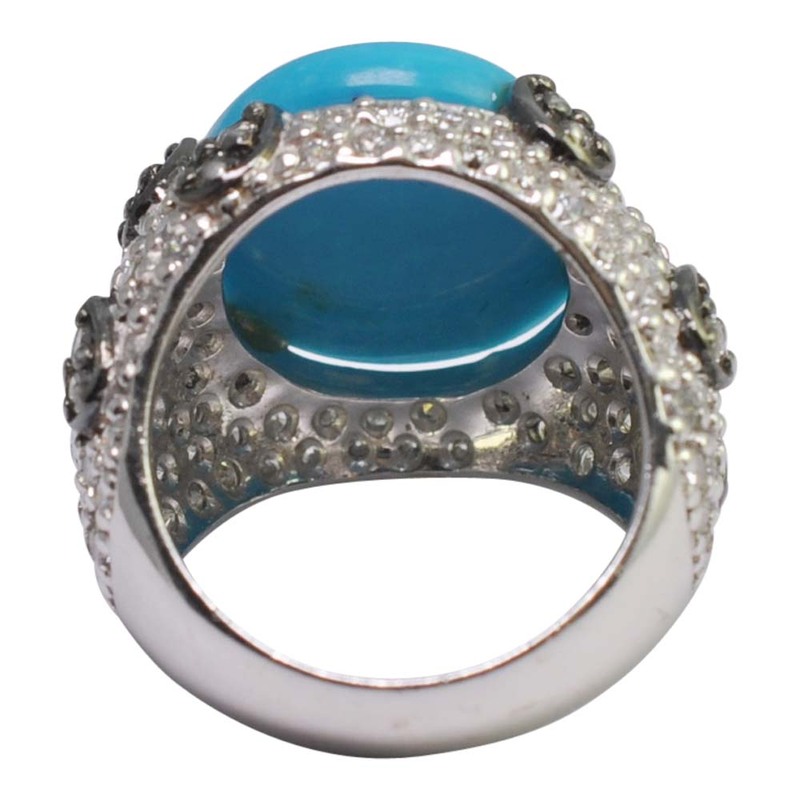 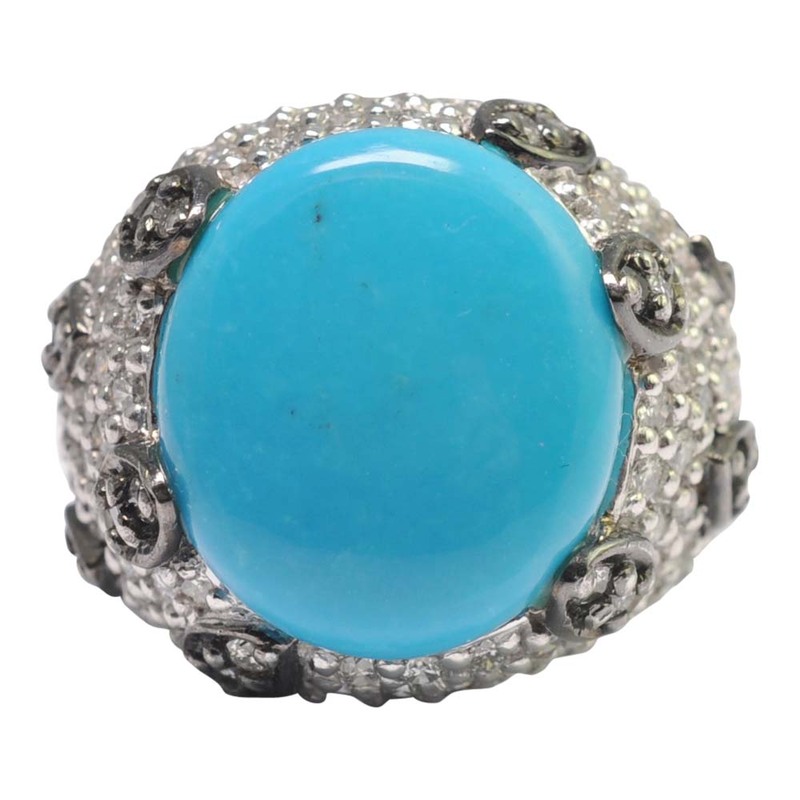 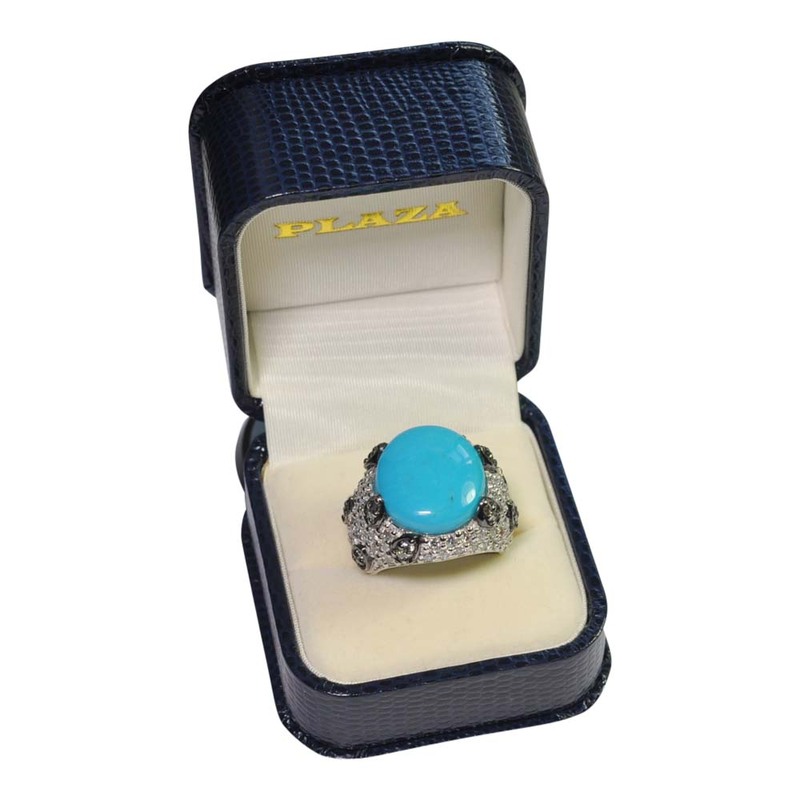 This extraordinary ring is contemporary and in excellent condition.